Don’t let the acrobatic nature of squirrels make you think that they are fun loving animals which can cause no harm to you. The same zeal and passion you see them jumping from one tree branch to the other is the same one they employ when damaging your attic and chewing up things in your garage. Being one of the most destructive rodents, you should never take a minute before looking for squirrel pest control service providers should you spot one around your homestead. Failing to do this might result into wanton destructions not only to your attic but also your gardens where they may go and dig up roots of plants thus affecting their growth. The first method to learn about squirrel infestation is to see them jumping happily in your compound. You are likely to see them trying to access the roof so that they can go to the attic region or you are likely to bump in them in your garage. If you notice gnawing damages around the home, then this could also be a pointer that you are staring at a squirrel infestation in the face. Finally, you are likely to hear scratching and rustling sounds especially in the walls and the attic regions. Any of these should be a reason enough to make you start looking for animal removal squirrels expert to expunge them out from your buildings. Being experts in pest control squirrels, we have decisive ways of removing the squirrels and ensuring that they never come back again. We start our process by first inspecting the building to determine the nature of infestation. 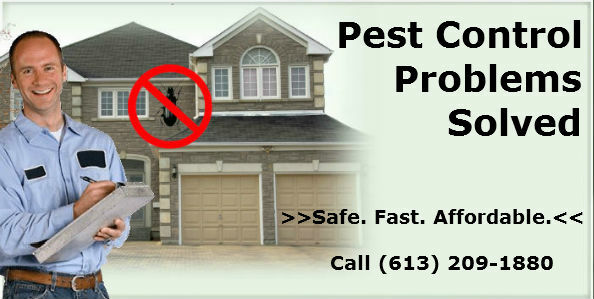 Since infestation will vary, we will come up with appropriate ways of dealing with that particular infestation. In doing so, we use non aggressive methods that are humane enough not to kill or hurt the squirrel in any way. We only need it out of your buildings. 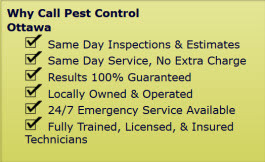 The next time you spot a squirrel within your premises, call Pest Control Ottawa immediately for prompt removal services. Any delays might result into further destruction which might lead to you incurring a lot of financial losses in repairs. Our service area includes Ottawa, ON and the surrounding areas. Animal and Pest Control for Squirrels in Ottawa, ON call (613) 209-1880.